Practitioners of meditation are often accused of navel-gazing, ignoring the problems of the real world. But with the rise of Engaged Buddhism and Ecodharma, it is clear that many practitioners are not satisfied with simply finding inner peace and want to use their practice to meet the needs of a hurting world. And in fact, Buddhism has had a long history of teaching fierce compassion - as evidenced by images of "wrathful deities." Compassion isn't just being nice; compassion is speaking truth to power and taking bold action. Join us as we talk with Lama Willa Miller who is an expert in Tibetan Buddhism and Tantric practices, which are ways of working with the manifest. Tantra is a valuable tool for changemakers who are building a more just world and can offer ways of transforming the self for the sake of others. As the Bodhisattva vow says, none of us are free until all of us are free. Willa B. Miller, PhD is the Founder and Spiritual Director of Natural Dharma Fellowship in Boston, MA and its retreat center Wonderwell Mountain Refuge in Springfield, NH. She was authorized as a dharma teacher and lineage holder (lama) in the Kagyu lineage of Tibetan Buddhism after completion of two consecutive three-year retreats in the nineties. She is an editor, author and translator and holds a doctorate from Harvard University in Religion, and is currently Visiting Lecturer in Buddhist Ministry at Harvard Divinity School. Her academic teaching interests include Tantra and the Body, Buddhism and Ecology, and Buddhist Contemplative Care, among other topics. 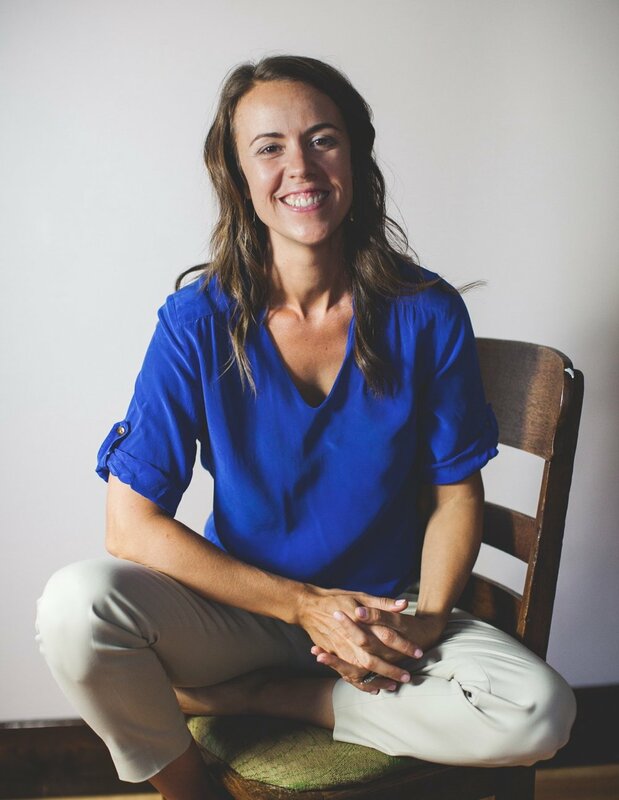 Outside of academia, her teaching specialties include the body as a door to awakening, natural meditation (mahamudra), and heart-cultivation (lojong). She is interested in the practical integration of meditation into daily life, and has participated as an advisor in several scientific studies on meditation. Who Is Allowed To Be Well? Yoga, mindfulness, and all manner of "wellness" practices have become a big business. As western culture encounters the wisdom of other cultures, it often appropriates and co-opts that wisdom, with the result being that many of these mind-body wellbeing practices are now seen as the provenance of the wealthy and privileged. Kerri Kelly came to yoga after years in a corporate marketing career left her burnt out and disconnected. As she experienced her own personal healing, she started to ask deeper questions about who had access to these practices and what responsibility the privileged had to the rest of the suffering world. In this episode we discuss the ways in which wellbeing is intricately connected to movements for justice. Most of the world's major religious traditions have been developed in and shaped by patriarchy. They emphasize masculine deities and male (often celibate) leadership. While efforts to reclaim the feminine aspects of divinity and spirituality have been underway for several decades now, in the past few years there has been an explosion of fierce feminine leadership in political, cultural, and spiritual arenas. Vera de Chalambert's essay "Kali Takes America" went viral in 2016 after the election of Donald Trump. Her exploration of the dark goddess Kali who destroys the world in order to save it anticipated the wave of female anger and activism that has arisen in the wake of the #metoo revelations. We sit down with Vera to talk more about the feminine divine, her darker side, and why all of us need this sacred feminine fire now more than ever. Vera starts off the interview with a powerful soliloquy that blew us away, and we're so excited to share her wisdom with you. Religious leaders of traditional religions are often skeptical of the short-lived mystical experiences that entheogens like psilocybin, ayahuasca, and MDMA can bring about, even though those who have taken these consciousness-altering substances often report profound insights into the human mind and soul. At the same time, many people who have used psychedelics eschew the rigid dogma of religious institutions. Scientists have thrown themselves into the mix of this controversial topic by showing how various substances can not only lower anxiety and ease PTSD, but also inspire qualities like forgiveness and compassion. Can spiritual practice and psychedelic use come together? Katherine MacLean and Colin Pugh think so and join The Rising to discuss how these substances can, and should, be integrated with spiritual practice and community support - and how this can change for the better not only oneself, but the lives of others as well. Colin Pugh is the organizer for the Brooklyn Psychedelic Society, a community dedicated to educating individuals on how to use psychedelics effectively and safely for personal and spiritual growth. Colin also has a strong interest in contemplative Christianity, Buddhism, psychedelics, and political change. He currently works as a freelance product manager and lives in Brooklyn, NY. Social justice work isn't work that you go into just because you need a job or a paycheck. The desire to be part of creating a more just and equitable society is a calling from within as well as a manifestation of the interconnectedness of our world. Because people working on the front lines of justice so often bring their whole selves to the work, self-care and self-reflection are crucial tools for creating changemakers who can lead from a place of integration and embodiment of the values they most want to see in the world. Movement chaplaincy is transforming our social movements by bringing spiritual care and guidance to activists. Through spiritual direction, an ancient practice of accompaniment that manifests across wisdom traditions, changemakers explore how they relate to themselves, others, and humanity. This, in turn, can help build healthier and more sustainable movements by growing self-awareness, strengthening relationships within organizations, and amplifying the impact those organizations have on the world. The folks at Still Harbor are on the forefront of this emerging field and join The Rising on Episode 15 to discuss the importance of this work that is changing the way we do social justice. Rev. Perry Dougherty is the Executive Director of Still Harbor, Editor of Anchor magazine, and an Instructor at Harvard T.H. Chan School of Public Health. Perry serves as a facilitator, chaplain, and spiritual director at Still Harbor. She has a background in corporate training and development as well as non-profit development, communications, and management. Perry brings an informed perspective on social justice, pedagogy, and learning, which she studied at Washington University in St. Louis in receiving her B.A. in Social Thought and Analysis with a specialization in the Sociology of Education. Perry is an ordained Interspiritual Minister by One Spirit Interfaith Seminary. She brings her personal and professional interests together through her service by exploring where creative expression and narrative meet spirituality and social justice. Rev. Edward M. Cardoza, MA.Min. is the co-founder of Still Harbor. Ed serves as a facilitator, chaplain, and spiritual director at Still Harbor. Ed received a Master’s in Arts in Ministry from Saint John’s Seminary School of Theology in 2003. He completed a practicum in spiritual direction at the Center for Religious Development through the Weston Jesuit School of Theology in Cambridge, Massachusetts. In addition to serving with Still Harbor, Ed is also ordained in the Episcopal tradition and is priest-in-charge at St. Mark’s Episcopal Church in Foxboro, Massachusetts. Ed serves on the board of directors for the global health non-profit Partners In Health, where he was the Vice President for Development for 6 years. He also serves on the board of Episcopal City Mission. Western religious culture is often suspicious of creativity and imagination. Artsreligionculture.org (ARC) is seeking to change that. We talk with Lakeisha Lockhart and Callid Keefe-Perry about how they're seeking to bring academic theology and religious conversation out of the ivory tower and down to earth by collaborating with artists, poets, and activists. We also talk about ARC's upcoming conference and how you can be be part of it. Lakisha Lockhart is a gregarious and playful scholar activist. She is currently a doctoral candidate at Boston College in Theology and Education researching play as a cultural signification for women of color, which can provide a space for agency and authenticity for these women both in the pulpit and the academy. She is Assistant Professor of Practical Theology & Director of STREAM Youth Theology Institute at The Samuel DeWitt Proctor School of Theology at Virginia Union University. She not only believes in the power of play and embodiment in theology, but she actively advocates for the importance of the body as a locus of doing theology. She believes that “doing theology from and through the body allows us to see the other as they are, not as we want them to be. Play and embodiment provide hope for theological education.” She received her B.A from Claflin University, M.Div. from Wesley Theological Seminary, M.A. in Ethics & Society from Vanderbilt University and has been a Zumba instructor since 2012. Callid Keefe-Perry is a proud father and husband. He is a member of the Religious Society of Friends (Quakers) and travels in the Ministry serving within and beyond that denomination. He is an organizational consultant, retreat leader, and teacher of discernment deeply influenced by both Quakerism and Ignatian spirituality. He is the author of Way to Water: A Theopoetics Primer, has been a public school teacher, is a performer and coach of improv theatre, and was the co-founder of a community theater in Rochester, NY. Academically his work is at the intersection of public theology with creative practices and their connection to education and spiritual formation. Organizationally he focuses on helping groups clarify their goals and make sure that their commitments to justice and equity become more than just aspirations and good intentions. Join us the Theopetics Conference. Use coupon code TheRising to get 10% off. As women have revealed their experiences with sexual assault and sexual harrassment, #metoo has spawned the hashtag #churchtoo, where women and men are sharing stories of sexual abuse in their spiritual communities. Churches and other spiritual communities that promote values like community, connection, forgiveness, and reconciliation often leave the most vulnerable among us open to abuse. Today we welcome back Deb Helt as a guest host and speak to Gabe Stoutimore, who writes about religion and culture, as he recounts his own story of sexual assault and harassment at the hands of a clergyman. In Part 1 we hear Gabe's story. Next week we'll talk about the larger cultural question of what place, if any, spiritual values like forgiveness and redemption have in this moment. Gabe writes about faith and atheism. He holds a MA degree in Religion & Public Life from the University of Leeds and an MA in Religious Studies from the University of Bristol, both in the UK. His first book "I Guess God Thinks I'm Gross" is due for release in 2019. He lives in Menlo Park, CA and works at Facebook. Deborah is a Los Angeles-based therapist and development consultant. She holds Masters Degrees in Urban Planning from UCLA and in Clinical Psychology from Phillips Graduate Institute. She currently splits her time between work as a Marriage and Family therapy intern and work as a fundraiser for high need cities and school districts throughout Southern California. Her clinical interests include postmodern narrative therapy, relational gestalt, interpersonal neurobiology and mindfulness. She is interested in exploring the role that therapists can play to support social movements. In a deepening of our topic from last week, we get into the nitty gritty of anti-racism as spiritual practice this week. With our guests Abraham and Margaret, we examine what happens when we let go of the goal of being "good white people," humbly acknowledge the our complicity in racist and white supremacist cultures, and settle in for the long haul work of enacting paradigm change within ourselves, our communities, and our culture. Margaret Johnson is an activist, a healer, and a spiritual seeker. She cut her teeth working for social change in the Catholic worker movement, and is inspired by the work of the Ayni Institute and the Momentum organizing community in developing frameworks for strategic organizing while upholding relational culture. Margaret is a licensed massage therapist and a Kundalini yoga teacher, and has participated in several activist movements and organizing communities. Abraham Lateiner works to create spaces for people with dominant power to experience the freedom of surrender. He has found that when such people experience the “power-with” that comes with aligning with movements led by people at the margins of society, they can learn how to support those movements in sustained, sustainable, and sustaining ways. That, he believes, would be a true freedom. He is part of the core team of Freedom Beyond, a decentralized network of small circles of people seeking freedom from white supremacy. Race and whiteness may be social constructs created centuries and generations long ago, but we have all been shaped by them in many ways, seen and unseen. Battling racism is not just a matter of thinking the right thoughts or believing the right ideas. To truly dismantle white supremacy, white people must be willing to look at the ways whiteness has shaped our sense of self-worth and identity. This is not just a political undertaking, but a spiritual one. It demands we go to the deep places of our own discomfort within ourselves and our ancestral lineage to begin to truly heal and transform the injustice of racism. Jardana Peacock is a spiritual teacher, writer, yoga teacher, and organizer in Louisville, KY. She is the director of Liberation School, a healing and spirituality school for changemakers that is the first of its kind located in the southern US, and the author of the “Practice Showing Up Guidebook,” an anthology for white people working for racial justice. Jardana brings an incredible presence of humility and depth to this conversation and we get to talk to her about the ways in which she and others are working to bring healing, compassion, and care to organizing and activist work as well as learning how we can go deeper into our own anti-racist work. With antifa throwing punches at Nazis and navel gazers on mats far from marches and protests, it can seem difficult to find a way to work for justice that is both active and peaceful, fierce and loving. Nonviolence is a term in the common lexicon of social justice but it is misunderstood almost as much as it is used. Far beyond a passive pacifism, the philosophy of radical nonviolence actually requires an active commitment to "no harm" and is a way of embodying satyagraha, or "love force," a concept championed by Mahatma Gandhi. In the wake of Charlottesville and continued appearances of neo-Nazis throughout the country, newly awakened activists are wondering how to effectively respond. We are at a critical moment in history when it's important to re-examine the principle of nonviolent resistance lest we play into the violent methods of the oppressor. Nonviolence isn't easy, especially when there are strong forces luring us into reactivity and aggression. Eric Stoner, co-founding editor at WagingNonviolence.org and adjunct professor at Rutgers University, joins us on The Rising to discuss the nuances of nonviolence and how not only is it an effective tool of resistance but also the force that has fueled social movements all over the world. Witchcraft, astrology, tarot...magical pursuits have exploded in popularity over the last several years. Just in time for Halloween, we talk to activist witch Amanda Yates Garcia, also known as The Oracle of Los Angeles, to learn more about what it means to practice magic and how we can bring it into our work for justice. This is a deeply inspiring conversation about the power of imagination, dismantling systems of hierarchy with models of shared leadership, the hard work that is needed to make our dreams reality, the importance of being connected to the earth, embodiment and pleasure, and much more. Amanda is a witch on a mission to re-enchant the world through the power of art and magic. She was raised in a magical family whose forebears include the famed psychic Edgar Cayce, and learned to cast spells and read tarot from a young age. Her work draws on the Western Hermetic Mystery traditions, embodied energy work such as Reiki and Holotropic Breathwork, Shamanic Healing Practices, and more. Amanda also has an MFA in Writing/Critical Theory and Film/Video from the California Institute for the Arts. Amanda has organized public rituals to exorcise capitalism, devour patriarchy, and bind Trump, runs a monthly mystery school called Magical Praxis, and hosts a radio show called The Oracle Hour. She recently made a splash after being interviewed by Tucker Carlson of FOX news about her participation in the Binding Trump movement. 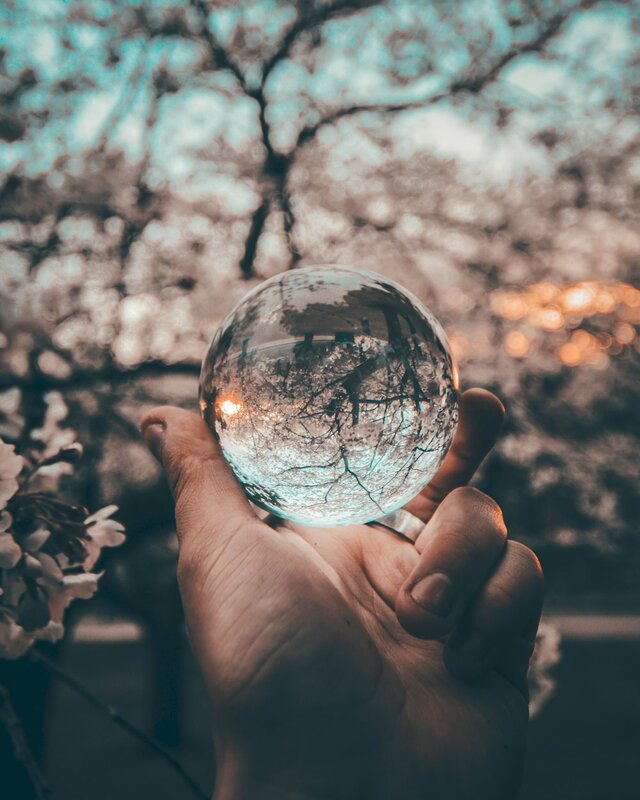 In the interview, Amanda provides a grounded, practical explanation of magic and ritual, and a clear-eyed, heart-centered intention to use her powers to create a better world that cuts through the cynicism and fear of the interviewer. You can learn more about her work at oracleoflosangeles.com, or follow her on Facebook or Instagram. Meditation, mindfulness, sacred chanting and other contemplative practices have exploded in popularity over the past several years. Magazine covers are constantly extolling the “miracle of mindfulness” or touting the latest research showing how meditation changes the brain. There are countless Buddhist meditation centers and what seems like a yoga studio on every corner. Christian churches offer slow, meditative Taize chanting services and Centering Prayer groups. Yet too often, the spaces where these practices can be experienced are overwhelmingly white and center white experiences. It often requires money and a certain familiarity with white, upper middle class norms to access meditation retreats, yoga studios, and other resources. We talk about how spirituality feeds activism and vice versa, but so many of our paradigms of both spirituality and activism are rooted in or interpreted through the lens of white culture. We talk to Teresa Pasquale Mateus, a trauma therapist, yoga teacher, contemplative, and co-founder of The Mystic Soul Project, a non-profit organization that “seeks to bring forward a People of Color (POC) - Centered Approach to Action/Activism and Contemplation/Mysticism.” She is also the author of the book Sacred Wounds: A Path to Healing From Spiritual Trauma.